Which Why are आप being like this look is the best? 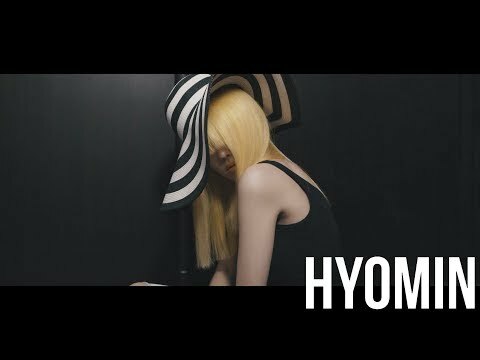 What Video Do आप Think Soyeon Looked The Best In? Do आप think that Juhyun from spica and Jiyeon from T-ARA look alike? Who's the prettiest in T-ara? T-ara have announced that they are finally having domestic concerts right on क्रिस्मस day. Although T-ara have gone overseas for concerts, the girls haven't performed for their domestic प्रशंसकों through a concert. Fortunately, this time प्रशंसकों are receiving special क्रिस्मस gift as they announced their upcoming "Merry क्रिस्मस T-ARA Family Concert". The संगीत कार्यक्रम is happening on December 25 and the संगीत कार्यक्रम happens twice in Coex Auditorium. One at 3PM and the other at 7PM. Last month, we reported that T-ara would be debuting another sub-unit in Japan. Now, और details have been revealed. According to the official webpage of T-ara’s Japanese label, EMI Music, the new sub-unit will be aptly named ‘QBS’ which stands for the initials of members Qri, Boram, and Soyeon. T-ara N4 revealed that their dance to “Countryside Life” was really intense. The ladies had revealed the teaser for their dance version MV most recently. Before that, they had released the drama version teaser, as well as two other teasers. They’d also दिया us hints at the ‘rabbit’ dance and the ‘dinga dinga’ dance. T-ara N4 gave a hint that the other members were preparing another subunit. As mentioned before, T-ara is कहा to be launching their very own subunit consisting of 4 members, Jiyeon, Eunjung, Hyomin, and Areum, and और details have been revealed regarding this exciting project द्वारा संगीत insiders. There is some exciting news in store for Queen’s! Idol group subunits seem to be the trend these days, and jumping on the bandwagon will be T-ara with their very own unit consisting of 4 members! Who will be in this currently unnamed subunit? Apparently it will be Jiyeon, Eunjung, Hyomin, and Areum, and they’ll be kicking off promotions with a song द्वारा one of the hottest producer teams these days, Duble Sidekick! Happy Birthday to Qri and Eunjung! Hope Qri will be a good leader as Taeyeon, Hyorin and others! who is the seventh member of t-ara?